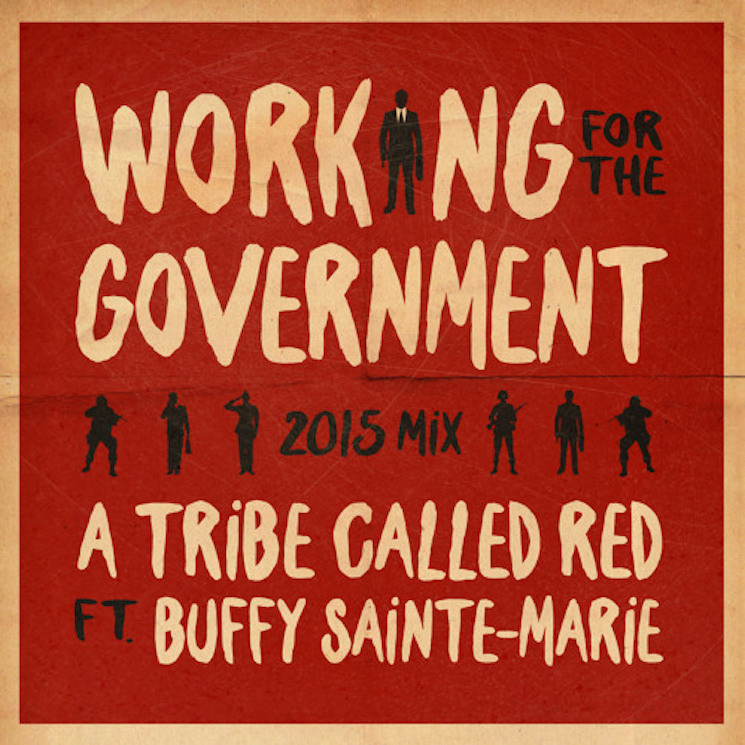 Ottawa-based party starters A Tribe Called Red have teamed up with septuagenarian Buffy Sainte-Marie, adding some four-on-the-floor perkiness to her 2008 song "Working for the Government." The song's been beefed up with hand claps, synth blasts and plenty of palpitating percussion. As it turns out, Buffy Sainte-Marie's voice is perfectly suited for an anthemic dance pop banger. Listen to "Working for the Government" below and download the song here.